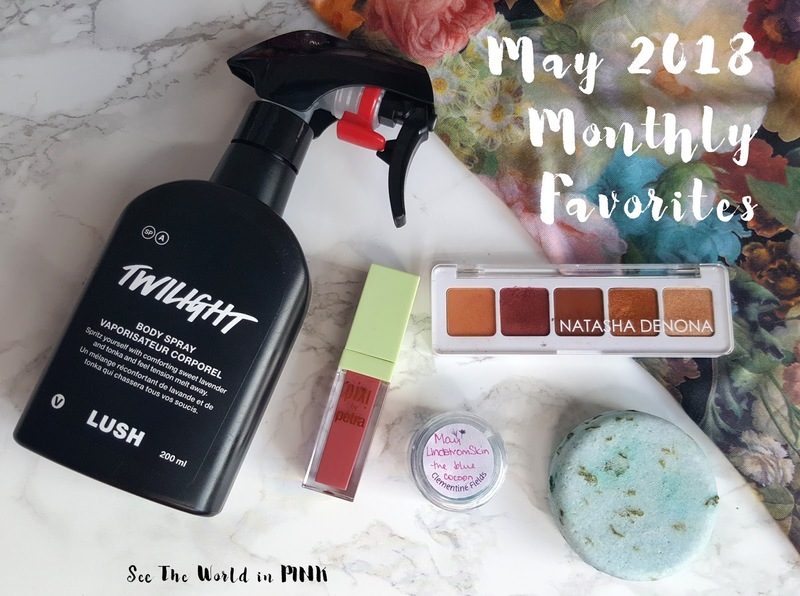 Here is a look at my top 5 products I have been loving in May! Guerlain Meteorites Highlighting Powder Pearls in 02 Clair ~ $77.00 CAN. An illuminating powder made up of light-diffusing pearls that minimize flaws and add brightness to the skin. How have I not shared these on here before?! You can tell I'm getting low on these; but, I have had these for almost 4 years! I have loved these for a long time - I kind of go in and out of using these and this whole month, I have reached for no other finishing powders! This leaves the slightest glow to the skin and it just gives such a good finish! I know these are a little pricey; but, these last forever! I just dip in a big fluffy brush in this and sweep it over my face! I think I always need to start my Monthly Haul posts with the intro "Hello, my name is Renee and I am a Beauty Shopaholic"....! ColourPop Palettes ~ $39.00 CAN. 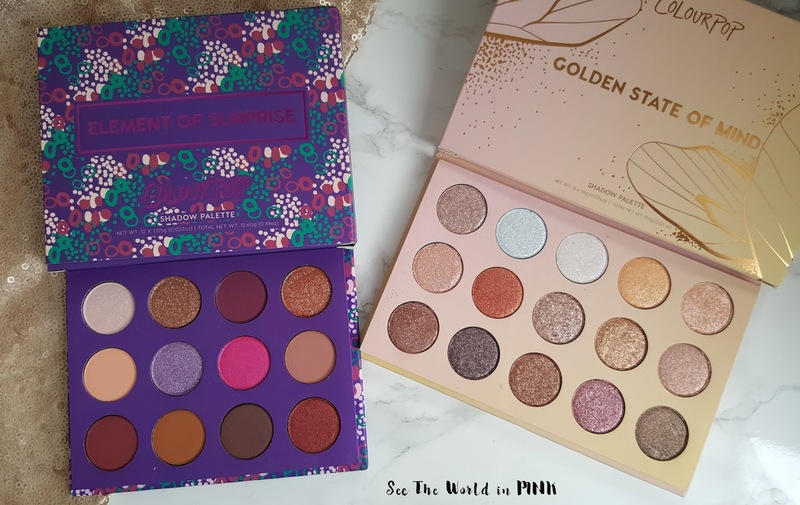 I picked up both the Golden State of Mind and Element of Surprise palettes from Facebook swap groups. Some people received these in their April Boxycharm boxes and wouldn't use them so I thought I would scoop them up and give them a try! Happy Saturday everyone! I hope you all had a great week! This was a short week here; but, am I the only one that finds they seem to be the longest?! Also, Elliott has been sick still all week so we have had a lot of long nights! I love getting fun goodies in the mail! I just received my May Scratch Monthly Mani Kit! This is a nice, affordable subscription that features nail wraps from GoScrachIt that are exclusive to the kit and designed by NinaNailedIt! Wet N Wild "Flights of Fancy" Summer Collection Box - Swatches, Makeup Look and Review! The Wet n Wild Summer "Flights of Fancy” is absolutely stunning! It’s a huge range of products - eye shadow quads, lip scrubs, primer water, lip glosses, blushes and eye liners! I love the Hummingbird inspiration - I think it’s so unique to all the other collections being released right now and it is so perfect for Summer! Wet n Wild is a cruelty free, affordable brand and I have been impressed with the products I have tried from them! I just tried an eyeshadow palette recently from the brand for the first time and was really impressed with the quality (I have scooped up a few more I was so impressed). I also tried their whole Unicorn collection last year and was super impressed with the highlighters I tried! 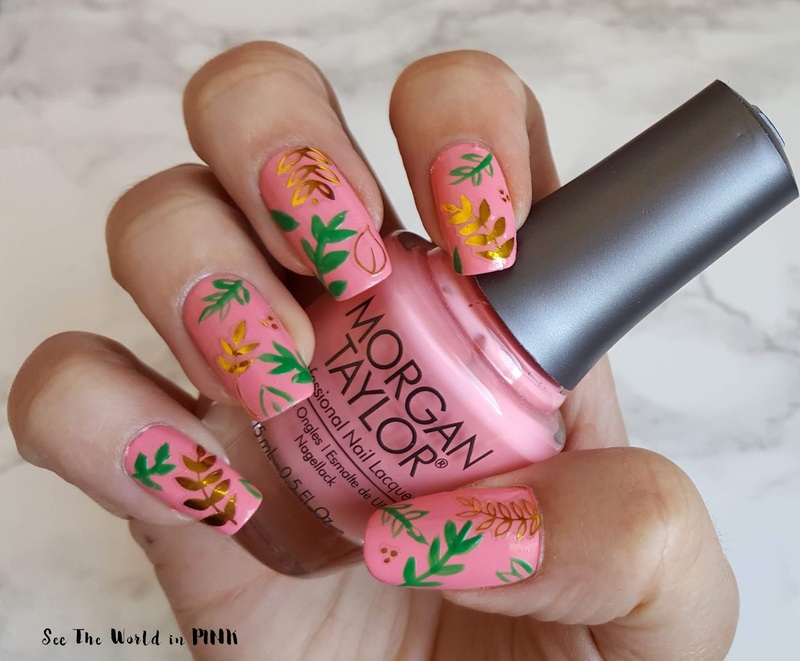 Happy Long Weekend Manicure Monday! I hope you all are having an amazing long weekend - the weather has been absolutely gorgeous here all weekend! Everything is finally blooming and turning green and this is my favorite weather - I love Spring! Thus, it inspired a lovely foliage manicure! I'm not going to lie, I loooove how these nails turned out! I love the balance of peach, green and gold and how they all came together! It just feels so Springy and lovely! A nose mask; yes, you read that correctly! I have tried a lot of different styles of masks before - eye masks, lip masks, and nose strips; but, never a nose mask before! I'm excited to try something different! 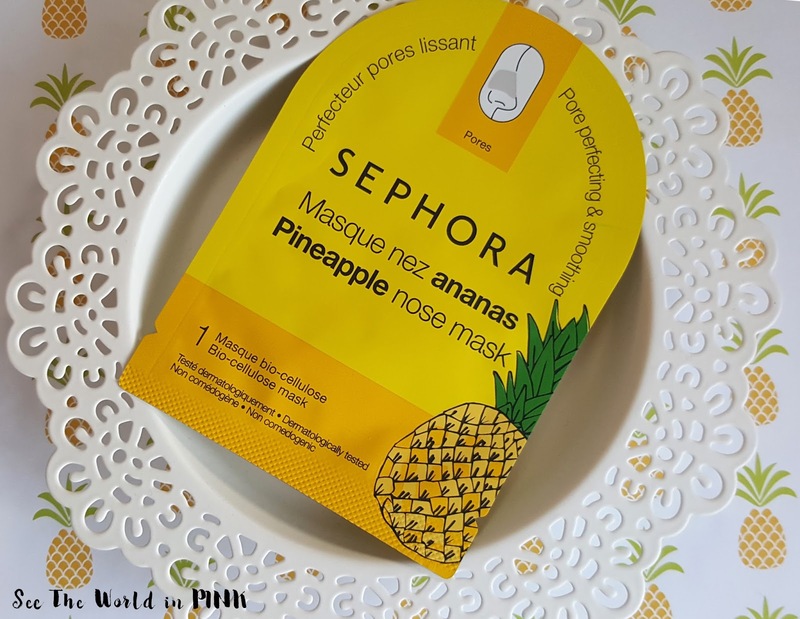 Sephora Collection Pineapple Nose Mask ~ $4.00 CAN. A pineapple bio-cellulose nose mask that perfectly hugs nose contours and tightens pores in as little as 15 minutes. I love the idea that is a bio-cellulose mask - I have raved about this formula before on my past mask reviews before! It is comfortable and adheres to the face really well! And, I really like the idea of using a nose mask instead of nose strips that hurts the skin and rips at it as you remove it - I hate using those. Happy Manicure Monday! Things are getting wild around here today with some leopard print nails! 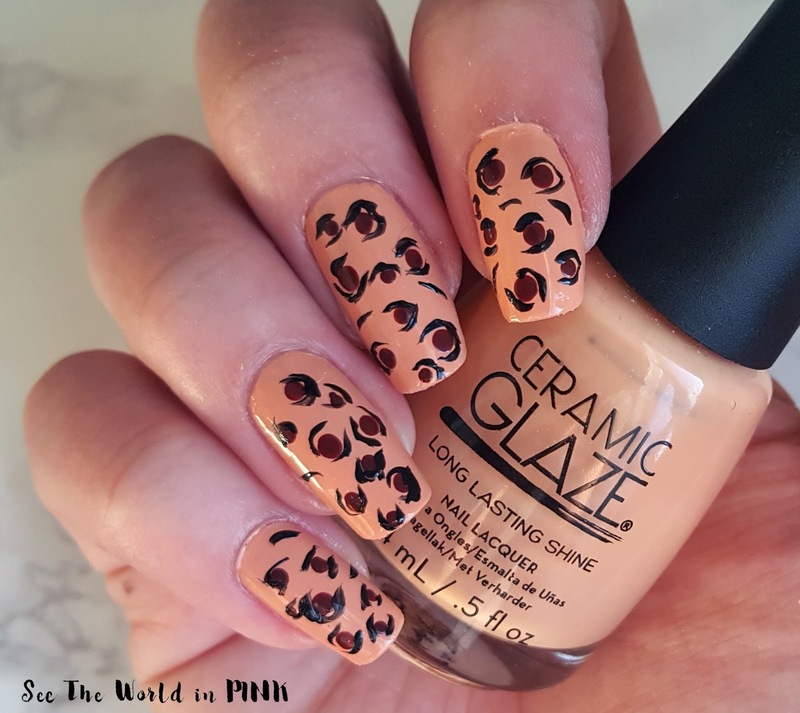 I'm teaming up again this week, with Jayne from Cosmetic Proof and Trysh from Prairie Beauty Love - and this week we obviously picked Leopard Print! These ladies are amazing at nails, so make sure you check out what they came up with too! Happy 4 Year Blogiversary! Celebrating With A Giveaway! Today marks the 4th Blogiversary of See The World in PINK! I can't believe this little blog is already 4 years old! 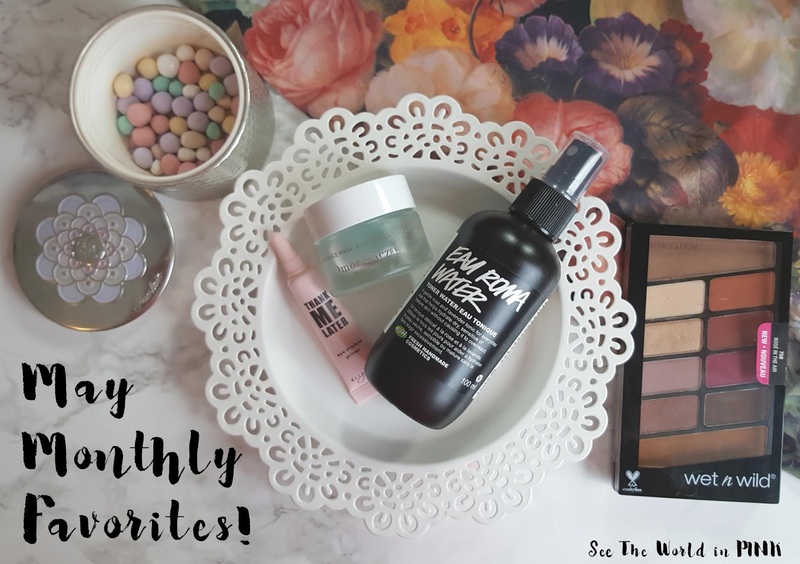 It's weird looking back to see where I started - basically I started just reviewing subscription boxes and the quality of products in them - then I wanted to include my love of nails and eventually my makeup and skincare obsession too! I know I'm a tiny blog in the world of Beauty Blogs but I'm still proud of what I have able to do here - I have put out content that I'm proud of, I have expanded my beauty knowledge, and I have worked with so many amazing brands and tried so many amazing products! I like to use this opportunity to say thank you to all my readers/followers and host a little giveaway! I'm always so thankful and appreciative that people stop by and read my blog and I always hope you enjoy what you see! Thanks for supporting See The World in PINK! Happy Friday everyone! What a week it has been - the whole family here has been super duper sick so our week has been filled with that! It has been pretty miserable around here actually; but, hopefully we are all on the mend and this weekend we can rest up and feel better! My palette of the week for April 30 - May 4 was a customizable Buxom palette. So, I ordered this palette almost a year and a half ago from Sephora when they had a crazy deal on - you picked 6 shadows and the palette for $20. But, I haven't actually used this palette since I picked it up! Embarrassing, I know.... So, I thought I should try it right away and see if I like it or not! Made To Recreate with Schwarzkopf Professional Hair Products! If you haven't noticed on here, I keep my hair pretty basic! My hair is just really thin and straight; but, that does not mean that it easy to style. In my opinion, it actually makes it harder to style. My hair does not hold a curl and takes a fair bit of effort to get to do anything! I was impressed with the products I tried from Schwarzkopf Professional, especially their hairsprays that actually worked for my hair! Wet n Wild Rose in the Air Color Icon Eyeshadow 10 Pan Palette - Swatches, Makeup Look and Review! These new Color Icon 10 pan eyeshadow palettes were crazy hyped up when they were released in December, and I have been waiting impatiently to get my hands on them! They were so hard to find in Calgary, that as soon as I found them online, I scooped them up right away! I'm slowly collecting all the palette to try and review; but, I had to start with the Rose in the Air palette because it was by far the most talked about (it looks so much like the Anastasia Beverly Hills Modern Renaissance palette) - it is gorgeous! Happy Monday everyone! I just saw the Pandas that are here at the Calgary Zoo and all I want is everything PANDA right now! So yes, we are doing Panda nails this week! 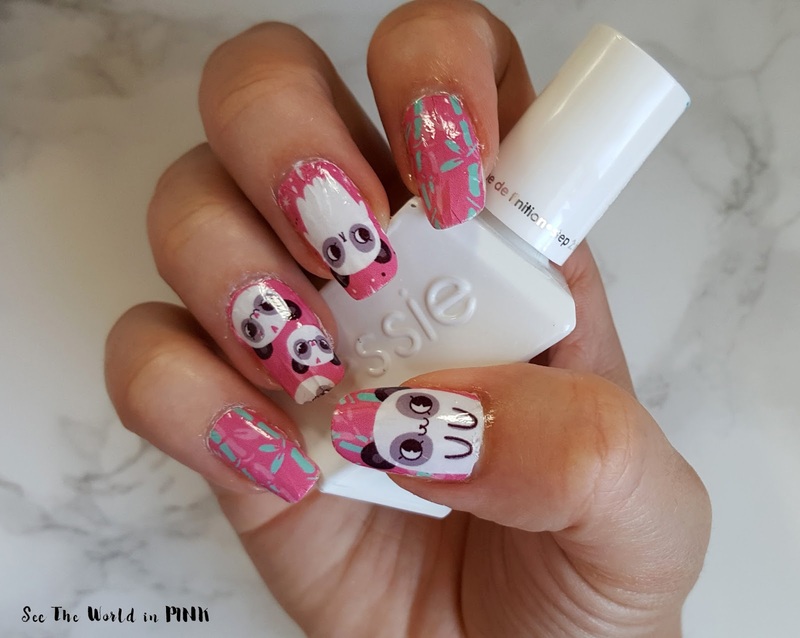 How cute are these are these Panda Pop water nail decals from PearlPlanet?! I loooove the cartoon pandas so much! Smashbox Camera Ready BB Cream SPF 35 in Light ~ sample shown (full size is $50.00 CAN). A multitasking, tinted BB cream that merges makeup and skincare in one step. 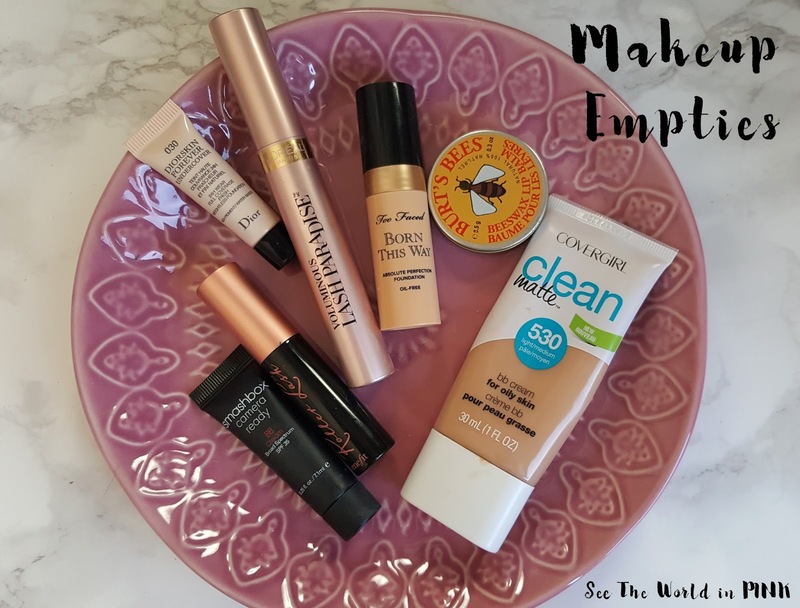 I have this in light and it was a little too light for me so I mixed it to lighten other foundations - on it's own, it wasn't the best formula for me. Happy Saturday everyone! Hope you all had a great week! I'm still trying to work out a good balance with my new work life - I still think I'm struggling to find a new routine; but, I will figure it out eventually! Eeeek - so exciting you guys! 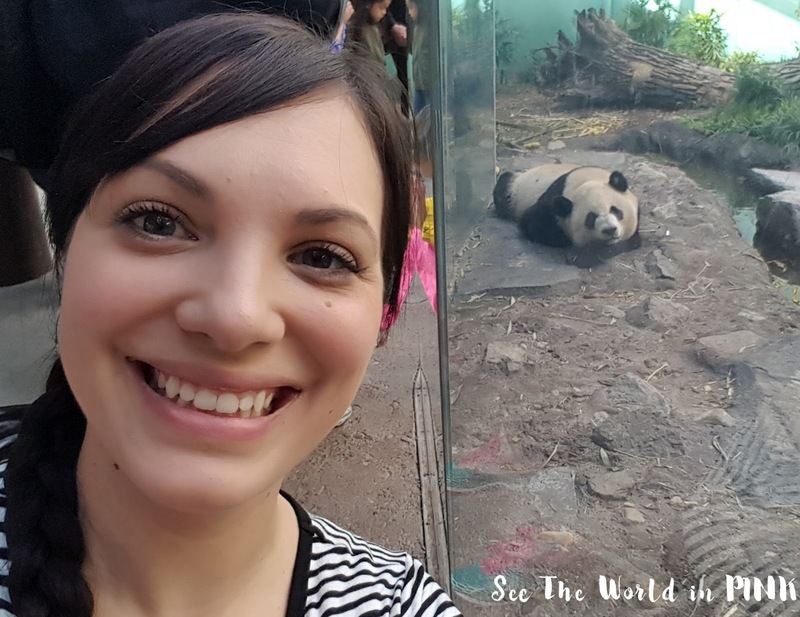 The Calgary Zoo finally has pandas and I went this morning to see them! The Panda Passage was only open today and this past week to members, and if you are patiently waiting, it opens to the public on Monday! 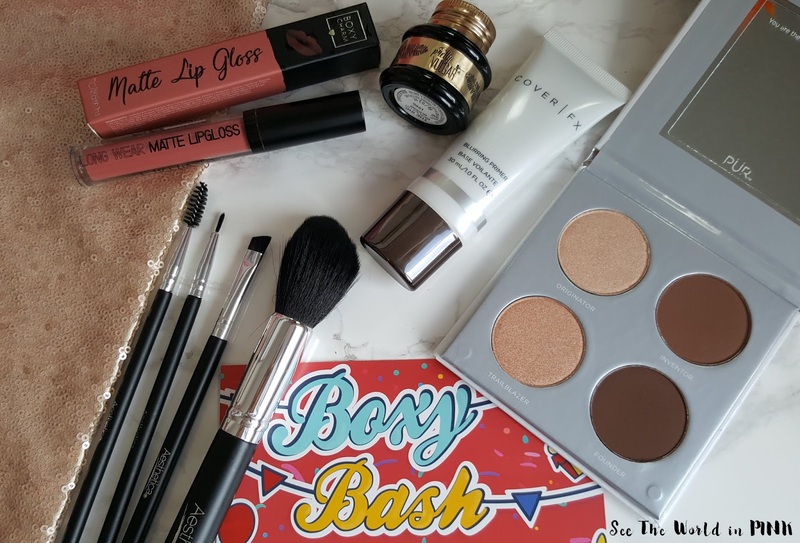 April 2018 Boxycharm - Unboxing, Swatches, Review, and Full Make-up Look! For the past boxes, every subscriber generally receives the same products, with 1 or 2 items that have a few variations. Boxycharm did recently announce that that they are expanding their personalization, so I think from here on out, we will see even more variations with boxes - for example, this month you would receive 1 of 5 different ColourPop palettes, plus a few variations of other products. Lush Twilight Body Spray ~ $29.95 CAN. When you want to feel really cozy, safe and at peace, spritz this heavenly blend of lavender and tonka all over. With the same scent as Twilight Bath Bomb and Sleepy Body Lotion, you can now wear this sweet, sleep-inducing perfume in layers. Don't be afraid to spray generously: skin-softening glycerin makes our body sprays gentle on your skin. Sleep soundly, sweetheart. This is a recent purchase; but, it is absolutely amazing! I use this more so of a linen spray than a body spray - but I have used it as both for the same purpose. This is amazing for bedtime! I spray one mist of this on my bed or pajamas and then cozy in to bed! I have never had a problem falling asleep, but more so having a restful sleep is a bit of a problem - between the early teething mornings, baby monitor light in my face, hubby work shift work, the list goes on! But, this just really helps me relax and sleep really restfully. It smells nice and light - just like the Sleepy lotion, which I love!